When we last left our eyelet experiment, we had determined that the yo/k2tog combination appeared to be the smoothest of the four given options. But now, let’s take it one more step and see what else we can do to minimize that lumpy decrease. Back to basics, just one more time if you don’t mind. Knitting’s all about loops, turn your stockinette swatch over (even if only in your mind) and you’ll see all those purl bumps created by loop after lovely loop of knitting. Visualize what happens when you knit 2 together … the 2 stitches now lay on top of each other, the left over the right in this case, and more importantly, those purl bumps pile up as well. What if you could reduce the pile up by eliminating one of those purl bumps? What if one of those purl stitches from the previous wrong side row, was a slip stitch instead, so when it came time to knit it together the slip stitch could just slide behind its buddy and almost disappear? This time, we’re going to work two of the “Perfect Eyelets” on a row so you can practice and compare to traditional eyelets. As always, slip purlwise unless the instructions say otherwise (they don’t, but they might in a later post). We’ve included photos of our swatches online here. And if you need help reading charts you can download this tutorial here. Ta da! The Perfect Eyelet! Yes, the label ‘perfect’ is a tad presumptuous, but the “Pretty Good Eyelet”, “Better Than Before Eyelet” and “Good College Try Eyelet “ just didn’t have the same ring. 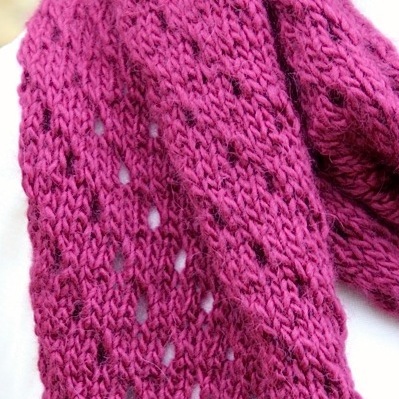 It includes this Late Harvest Shawl that adds a small tweak that results in nice big eyelets. Love the edgings and especially love this Perfect eyelet experiment. 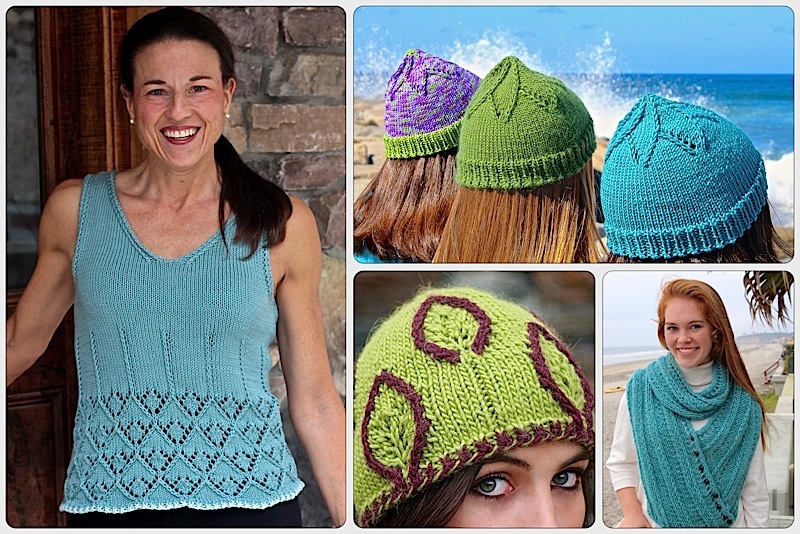 This entry was posted on November 7, 2013 by Laura Cunitz in Nuances, Other Nuances and tagged eyelets, knitting, Slip Stitch, Subtle Decrease.